Every kid has a creative side and at Can-Aqua we work to provide a variety of artistic mediums in order to ensure there is something for everyone. From cut and paste, painting and pottery, to woodworking, photography and guitar, the things kids come up with in these programs are nothing less then incredible. Awards and achievements in these areas are the products and creations that start in the mind of our campers and finish as something tangible to be proud of. For the up and coming Paparazzi in the world…Camp is built around friendships and memories that last a lifetime. Photos are the perfect way to capture and share that magic! Campers experience every step of the classic photography process, from framing their shot, to enlarging negatives, and even developing their own prints on photo paper. Our highly skilled instructors are dedicated to showing children the art of photography and development in a safe and fun way. Beginner photographers learn quickly and walk away from the experience with brilliant photographs to share with friends and family. 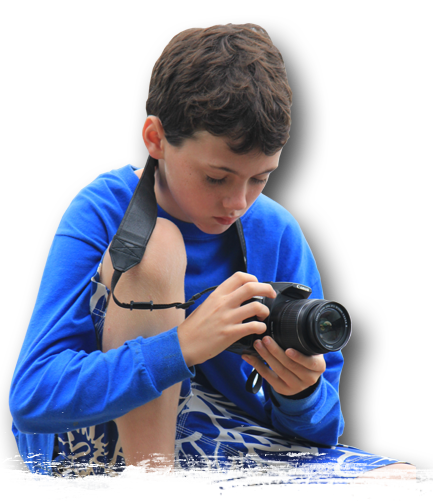 As campers return to photography over the years, they “develop” a range of deeper skills, which they can transfer to the digital photos they take throughout the year. Every day is a surprise at Arts and Crafts – from creating rock villages to the friendship bracelets that will be on campers’ wrists for months to come. Arts and Crafts offers a relaxed atmosphere, making it the perfect place to strike up a good chat and get to know other campers and staff. Creativity reigns supreme, so come and get started on your very own masterpiece! For those campers who are seeking more challenging artistic project, Fine Arts provides kids instruction on projects which include glass etching, mosaics, paper mache, canvas painting and sculpting. The program makes use of some of our most artistic staff members and if a session offering diverse challenge in the creative realm. Camp is a perfect place for kids interested in guitar. New campers thrive in the patient and supportive environment that seeks to teach kids the basic needs to play acoustic guitar. For more advanced musicians the program provides the opportunity to excel in your skills and help those who are learning to excel. There are endless opportunities to play for the community at camp so musicians of all skill levels can be confident that they are in a supportive community that just wants to hear them play! Tune up and tune in! Woodworking at Can-Aqua provides fun for all ages, as campers take a piece of lumber and shape it with their vision and growing skills. Our dedicated and knowledgeable instructors supervise campers and help them safely realize their artistic potential as each child finds happiness in seeing their ideas come to life. Imagine a workshop headed by a cheerful man with a big white beard. No, it’s not the man from the North Pole, but Al King, woodworker extraordinaire! Transform an ordinary block of wood into a paddle, stool, spoon, or xylophone, and take home something unique that you can use throughout the year. For campers who are interested in making short films, this activity offers an opportunity to explore their creative side. Instructors will challenge campers to create short sketch films each session, with use of simple film equipment and the environment around us. From storyboards to production and all roles in between, campers in this program will work towards creating short projects that they will be able to show to the entire camp community at the end of their two weeks. This program may require a full session commitment from campers (whereas most sessions are open for campers to come and go as they choose). The Silk Screening program at Can-Aqua offers campers to opportunity to create, color, and produce their very own designer t-shirt. Silk Screening is offered as a program within the Creative Arts Centre. Blank t-shirts can be brought from home or are available at the tuck shop. As an independent program within the Creative Arts Centre, our Pottery Program is a perfect opportunity for kids to express creativity through three-dimensional creation. Campers work with specific tools and supplies during this multi day program where they begin with raw clay, first molding it, then firing it and finally painting it to complete the project. 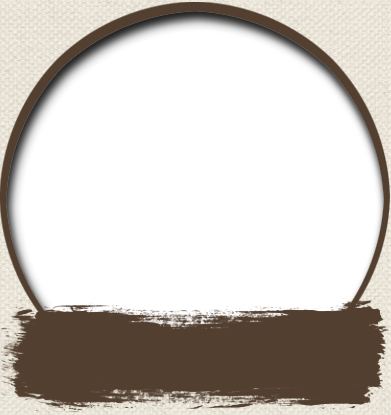 Successful projects include simple objects, bowls, mugs, plaques and much more. All firing is performed by a qualified staff member and takes place in a room devoted to the kiln operation. This helps insure safety throughout the entire process. For our future engineers, designers and visionaries, Lego Design provides kids with an opportunity to build, create, destroy and start all over again. Our Lego ring and over 100,000 pieces of Lego become a canvas for endless possibilities as camper let their imaginations go wild!! With program focuses on individual projects as well as teamwork, Lego Design constantly challenges kids to re-think their creations, re-design their work and rebuild in a process that embraces starting over.